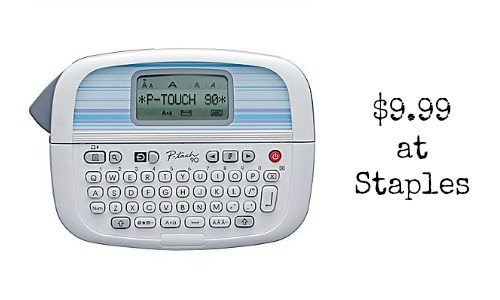 At Staples.com, you can get a Brother P Touch Label Maker for just $9.99! It’s usually $29.99 so this is a really good discount! With the Brother P Touch Label Maker, you can make your own personal labels really easily. It comes with 3 interchangeable face plates, 8 different Deco Modes for stylish labels, and the tape needed to make your labels. This label maker enables you to make address labels, filing labels, and much more. You can also arrange to have this label maker shipped to the store so you won’t have to pay for shipping and handling. If you are a member of Staples Rewards program, you can get 2-5% cash back and get FREE shipping. It’s FREE to join.